We do our best to explain our fees and any other costs associated with your Chapter 7 bankruptcy. 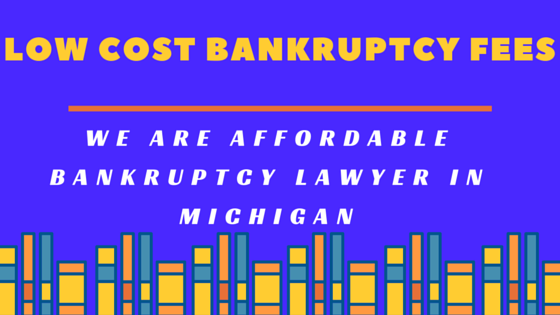 Since we strive to charge a fair price for your Chapter 7 bankruptcy, giving out exact fee quotations before having a full consultation regarding your situation is impossible. The fees charged for a bankruptcy depend on numerous factors, including what chapter you are filing, how complex your case is, anticipated issues with creditors, the Trustee or the court, whether the case for an individual or for a husband and wife, the number of creditors, etc. Our initial consultation is always free and will give us a chance to learn about your unique situation. We pride ourselves on giving our clients the highest quality of service while keeping their bankruptcy costs low. If needed, we work with you to arrive at a payment plan that fits with your situation. Our fees for a Chapter 7 bankruptcy start at $599 and can go up based on the different factors outlined above. The bankruptcy court charges a filing fee of $306 (which is going up to $335 on June 1, 2014) for a Chapter 7 bankruptcy. Lastly, one of the changes in the bankruptcy law in 2005 was that you have to complete 2 sessions of credit counseling. One before you are filed (called Credit Counseling) and the other before you will be granted your Chapter 7 bankruptcy discharge (called Debtor Education). The combined cost is only $40. A retainer of as little as $100.00 will enable us to start working on your case and to start protecting you from those harassing phone calls. You just tell your creditors to call our office then you no longer will have to deal with their threats and disrespectful treatment. Our priority is YOU! Do they handle bankruptcy exclusively, or do they dilute their practice by handling other areas? Is the attorney experienced and up-to-date in his knowledge of the bankruptcy laws? Lyle Lieberman has been doing bankruptcy for 25 years and has helped thousands of people. He is the “go to guy” for many of his peers. We are proud to be able to say that over 90% of our business is referrals. This shows how highly our clients think of us ! (and we have candy).